Peter has sent me two of his New C. E. O. (Cam Enhanced Opening) knives. 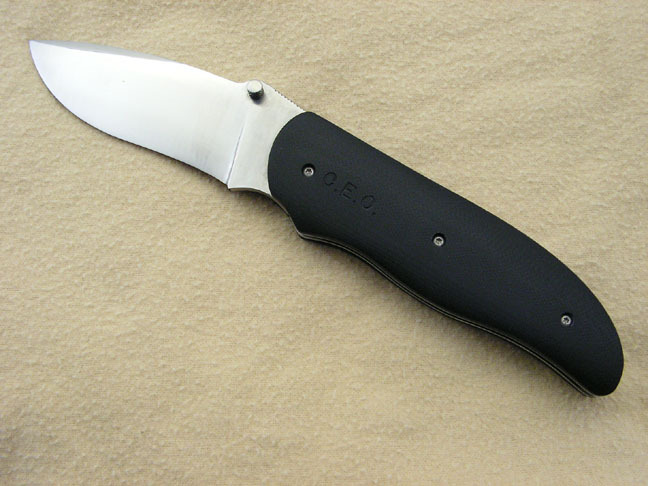 The overall length is 8 3/8" and the blade length is 3 3/8". 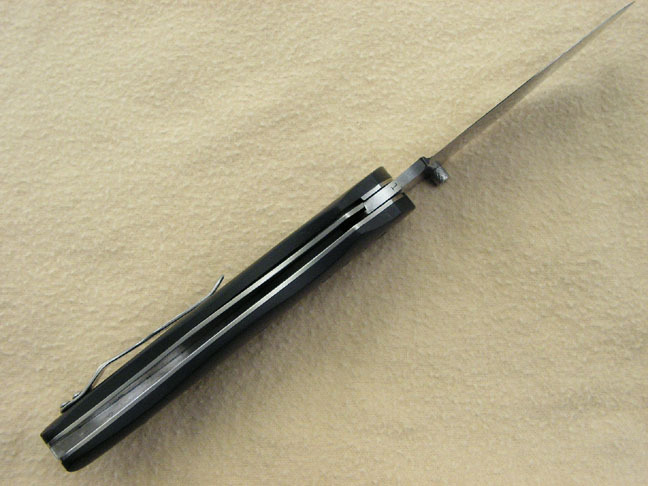 The blade and the spring are BG-42 and the handle is G10. 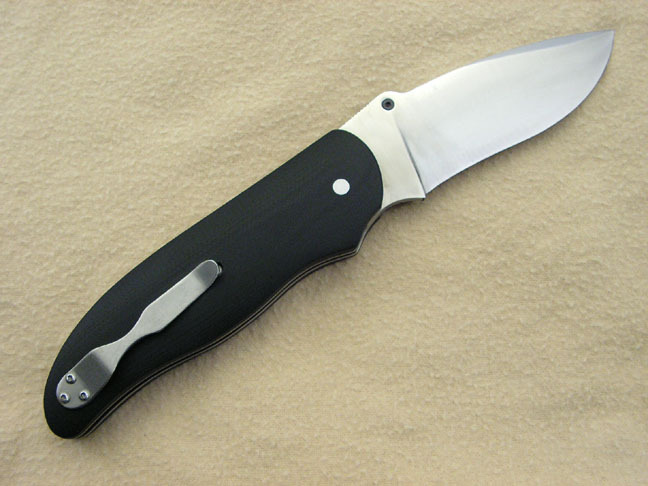 The bolsters, liners and pocket clip are Titanium. The thumb stud can be set for either point down or point up carry. The action is fast, but not so fast that the knife will jump out of your hand. 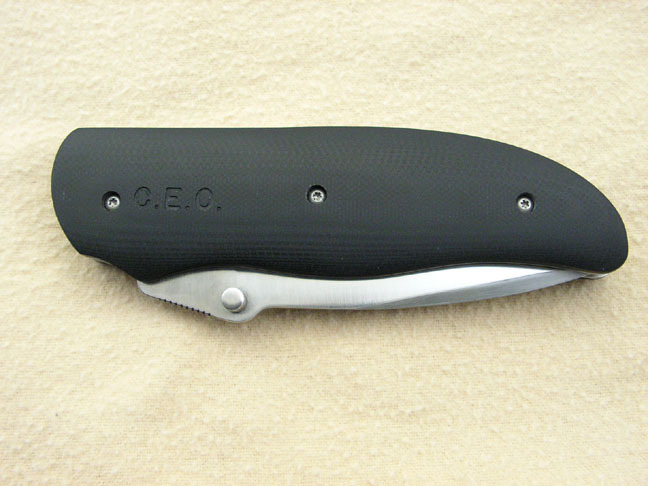 This combination of materials makes for a extremely rugged and versatile utility / tactical knife. If you are interested in purchasing the Upgraded C. E. O., click here. If you are interested in purchasing the C. E. O., click here.